With this one tweak to your mindset (and your budget), you will grow God's kingdom along with your local church. Is the idea of launching a special needs ministry intimidating to you? It’s actually simpler than you think, and you probably already have the tools you need. For years and years our church used a well-known mid-week curriculum, which focused on kids memorizing lots of verses, and receiving little trinkets along the way. We believe wholeheartedly in kids memorizing scripture, so that was a definite strength of the program. We all learned and grew spiritually because of it. One of the most difficult (if not exasperating) parts of leading a children’s ministry is the last minute cancellations of volunteers. There’s no magic pill to avoid this, but let me suggest some best practices regarding volunteer absences. There are so many options out there, which one is right for you, your team, and most importantly, your kids? In our eyes, these 5 things are the non-negotiables. If you work with kids, or have kids, or know kids, you are sure to come across a broken-hearted child: one who has a downcast spirit due to the actions of someone else. It might be after one (or more) of their peers has been cruel to them, or maybe it’s after someone talks behind their back. It might even be a foster child whose own mom or dad has broken the sacred trust of parenthood. We should always aim for the right kind of volunteers. So what do you do with the wrong ones that are currently serving in your ministry, or a new one that doesn’t seem to work out? 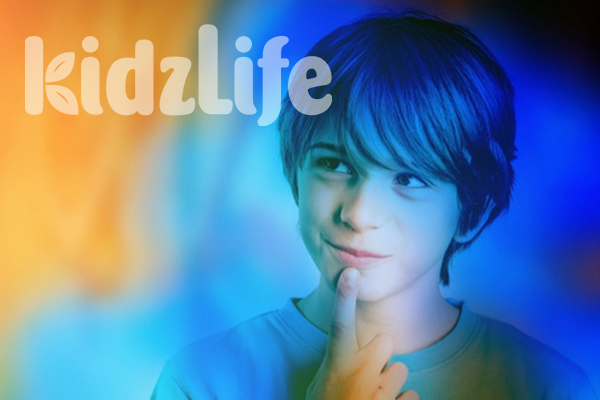 Here at KidzLife, we wanted to capitalize on the way God wired our brains to help kids hide God’s word deep down in their core. Check out our ideas and readymade resources to help kids memorize scripture without even trying! When we personally invite someone to join God in what He is doing in kids’ ministry, we are not merely “filling a spot.” Rather, we are helping people engage their spiritual gift and make an eternal impact in the lives of children. Children have limitless potential for God's kingdom, which is why many children’s pastors see children as their primary focus. But have you considered that you’ll actually get a lot more “bang for your buck” by investing in your volunteers? Most certainly you can be the voice for the children and families in your church. Blow the trumpet and sound the alarms for the next generation. Just do so in a way that does more good than harm. Follow these simple, positive steps to get the results you are looking for. For Heaven's Sake, Spit in the Coke! Train your leaders to always go the extra mile. Train them to make maximum impact. Do whatever it takes to engage kids. It might not be convenient, but it is most definitely worth it. Is There Such a Thing as a Healthy Dose of Doubt? Several years ago, when my son was about ten years old, ready to shake off the remainder of his 5th grade year and launch into middle school, we had some deep discussions about apologetics. The first convo started something like, “Mom, I know what the Bible says and all, but how do I know if it’s really true?” Fueled by our discussions at home, I asked my small group at church (comprised of 5th grade girls) to raise their hands if they had questions about how we know the Bible is really true. They looked at me for a moment. I assured them it was fine to be totally honest. Not just one or two hands went up. Every. Single. Hand. I didn’t panic. Instead I was overwhelmed with gratitude that God had revealed it. I was so thankful that they were honest enough to share it. It gave us time to talk about it. In fact, our team immediately planned a weekend retreat for all of our 5th graders so we could dive headlong into their questioning. We invited an expert in apologetics who specializes in speaking to youth to explain how literature is dated and the various ways we can authenticate scripture from sources outside of the Bible. We allowed time for Q&A. It was a weekend well spent. Can we afford for our elementary kids to move into junior-high and high school without spiritual antibodies? Certainly not! That’s why we must give kids ample time to discuss their beliefs and even their doubts. As a parent, don't fear the doubt, and be sure not to dismiss it. Think of it as an opportunity to go deeper with your child. Consider working through books like Lee Strobel's The Case for Christ (student edition) with your child. As a small group leader, welcome the opportunity for more discussion. We always say that small groups are “where the rubber meets the road.” It’s where kids have a voice; it’s where kids are not just allowed–but encouraged–to talk about what they think and what they believe. It’s where loving leaders can clear up misunderstandings and point them to the rock of God’s word. It’s in the discussion and the digging deeper that our kids (and all of us, really) grow the kind of faith that stands up to scrutiny and hardship down the road.